Need more inspiration for your recognition programme? 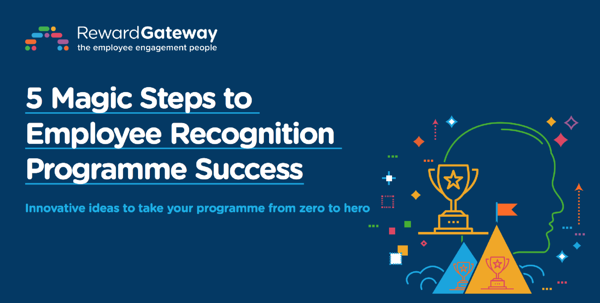 Whether you're looking to kickstart a manager-led recognition programme, or need help launching one, check out our eBook for your recipe to success. Each and every individual at your organisation has the power to influence recognition. But those that lead teams — your managers — arguably wield the greatest influence. I’ve spent years training teams of all sizes, from all industries on how to incorporate employee recognition best practices into their day-to-day, and I really believe in the results that manager-led recognition can create. But it doesn’t happen overnight. As a leader in your organisation, it’s your role (and our job!) 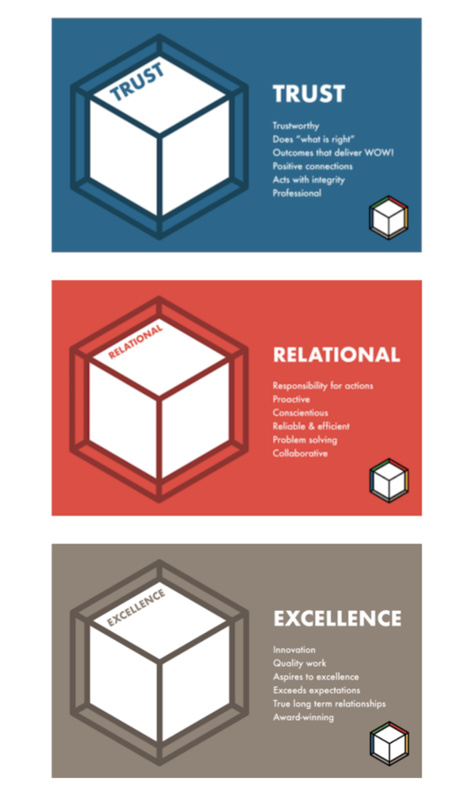 to help train managers and others in your business to use recognition strategically for the biggest impact on your business. Instead of waiting for monthly or annual awards (that often only recognise 5% of your organisation anyway), provide ways to both privately and publicly recognise the daily achievements of individuals within your team. 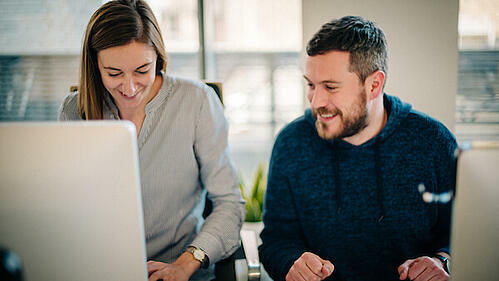 Whether it’s an eCard that you send whenever someone demonstrates a value, a practice of sharing recognitions at the start of regular meetings, or it’s a seasonal award that’s available for certain times in the year – remind your managers that feedback and recognition are things that people need regularly. It's something they need to build into how they operate and communicate with their team. While most employees appreciate their contribution being acknowledged in front of a broader audience, not everyone wants their name up in lights. Some people may find being put in the spotlight at a team or company meeting embarrassing, so that type of public recognition can be distracting or at worst, a demotivator at work. So what’s a manager to do? Work with what your team needs, of course. Understand that someone might prefer a private email or note of acknowledgement while their colleague wants to have their name mentioned during a team meeting. The best way to know what will be the most motivating for your team is to simply ask them, and to spend time getting to know the methods of feedback that are most effective for them. 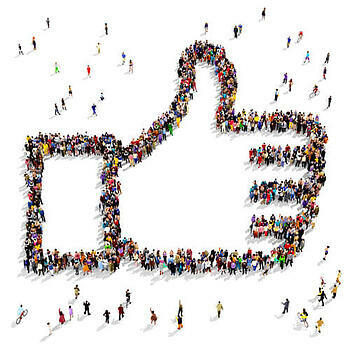 While continuous peer-to-peer recognition is important for creating a great culture from the ground up, never underestimate the value of recognition that comes from the person you report to. Giving managers the ability to give specific eCards or awards at their discretion gives them a powerful tool in their management arsenal, and helps them and employees more easily distinguish between good and great work. In 2014, Thales’ annual people survey highlighted that employees didn’t think saying “thank you” was part of the Thales culture, with managers, in particular, feeling that they didn’t have the discretion to reward their employees for going the extra mile. Create guidelines and suggestions, and educate managers about how and when to use these specific awards. Don’t worry about overuse unless it actually becomes an issue! To help address this, the company redesigned the eCards to improve employee recognition messages, by including words and examples of the different behaviours that employees could use to help them write their recognition. The number of eCards and award nominations increased as soon as they launched the new designs, and the HR team would share those numbers at the weekly leadership meeting, showing which teams and individuals were most active in the programme. This helped create a sense of excitement and accountability, which continues to improve participation across the company. As we’ve seen with the manager/employee gap research, many managers think they’re recognising employees regularly but employees don’t agree. If employees keep hearing the same message sent in the same way, they may stop listening. There’s no cookie-cutter approach, so the recognition or reward that works for one employee isn’t necessarily going to work for another. Provide your managers with ideas of low-cost ways they can recognise or reward their employees that are outside the box – sometimes being asked to be involved in a project that will help them develop skills they’ve expressed interest in, or giving them a day off after working long hours to get a project over the line are going to be more effective options than waiting months to nominate them for an annual award. While there’s no magic wand, these tips can help make recognition front-of-mind for managers who aren’t used to recognising their people. If you have more tips, I’d love to hear from you!